Whether you're looking for repair, replacement, or a brand new installation, we are happy to service your tanks and equipment. Are you looking for a local, family-owned company to service your fuel storage tanks in Vermont or New Hampshire? D&C Transportation has the work ethic and necessary state certifications and insurance to get the job done correctly, efficiently, and safely. We meet all state and federal regulations and will keep your facility current with ever-changing technological and environmental specifications. 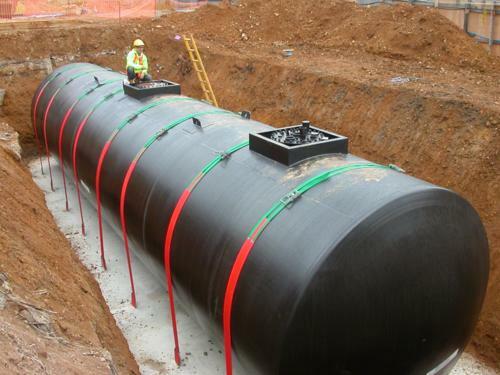 Through our sister company, FPH Tank Installation & Services, we offer consultation, price quotes, and finance options for installation or maintenance at your facility on fuel storage tanks, containments, pumps, dispensers, and meters. Contact us today for a FREE Price Quote. We will visit your site without any obligation and offer you a written quote based on your needs. See how our commitment to high-quality services and fair prices has earned us a top-notch reputation among businesses, insurance companies, and environmental agencies.